click here or call (336) 846-2787. Check out our latest CD, Kaleidoscope! 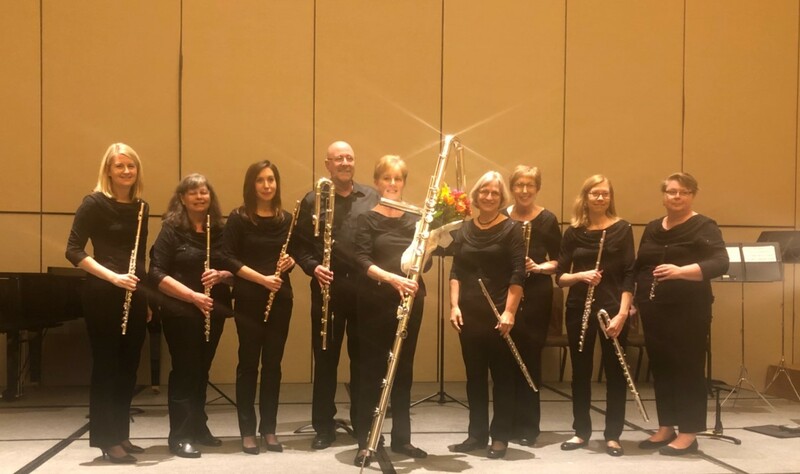 The Raleigh Flute Choir after performing at the 2018 NFA Convention in Orlando. Ann Pearce, founding member of the Raleigh Flute Choir, retired this summer after thirty-two years with the group. 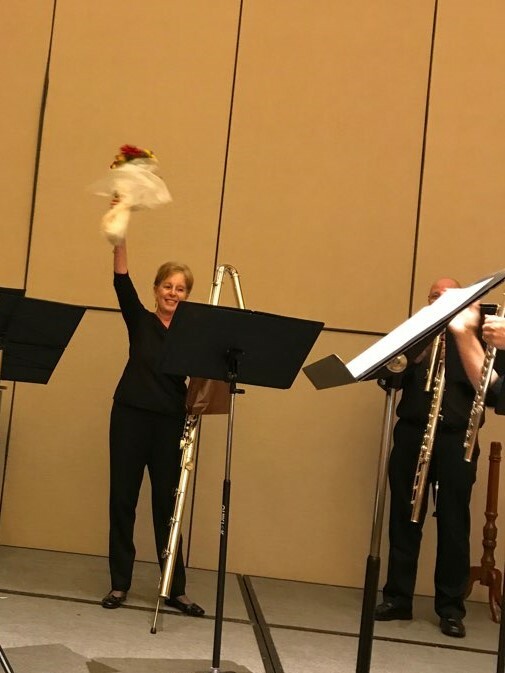 In addition to her years playing the flute and wielding the contrabass, Ann has made valuable contributions to the ensemble literature through her numerous arrangements and original compositions for flute choir. She will be missed!